Welcome to the Study Abroad Programs Search page. There are two separate ways to search. 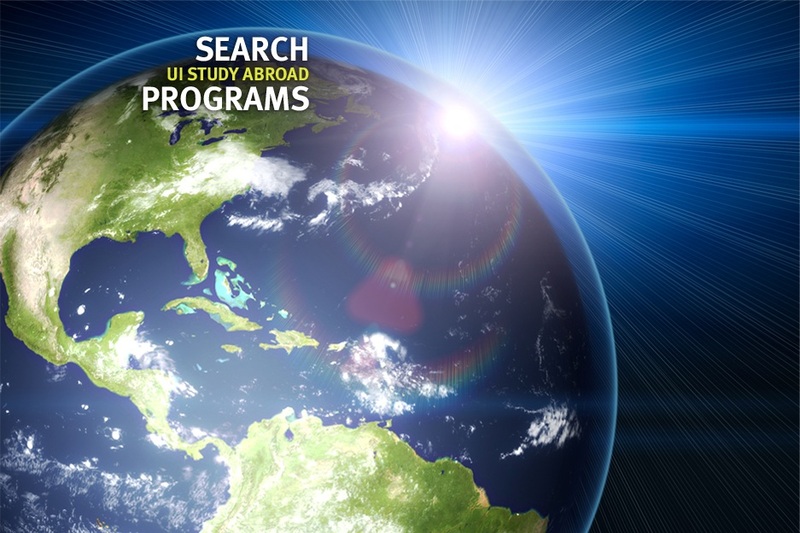 Select the period of time you want to study abroad. Academic-year programs generally align within the campus fall-to-spring timeframe, whereas calendar-year programs may begin in January and run to December. Select a specific area of study to find programs offering coursework in that area. If you are looking for coursework specific to your major, click here. Select a specific language to find programs that focus on learning that language. Select a specific program type to find programs that are of that type. Select a specific program feature to find programs with that feature. Enter an identifying portion of a program name, or leave blank to find any. An asterisk (*) can be substituted for any string of characters (e.g., Ital* finds both Italy and Italian). Check this box to find programs offering at least some instruction in English. Leave unchecked to find any. If you know you need a resident credit program, check here. If you are not a University of Iowa student, check here to find programs that are open to you.